So after planning and writing about moving out and renovation starting, I am finally moving out today — yay!! Renovation starts Wed. I am excited yet nervous because renovation brings with it more nightmares. AM and I have been bickering so much with stress at work and at home with the renovation and disagreements on the contractor. AM doesn’t want me to change my mind, and I think that I should change my mind as long as we have not made a purchase yet. So I am still making a final decision on materials. I am not completely sold on one recommendation from my architect, and am still looking. I don’t know what to do with one bathroom – I want it to be completely practical with porcelain tile instead of stone, but I LOVE stone. 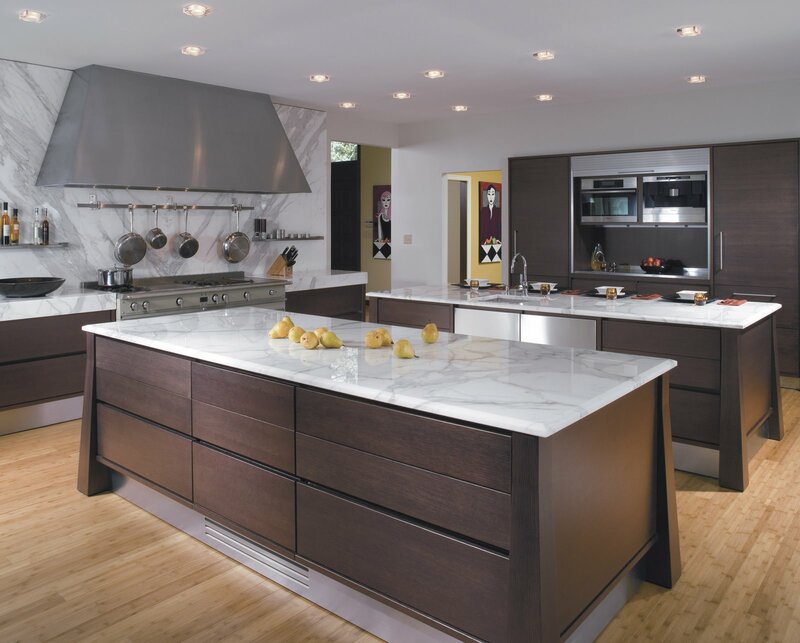 Limestone, sandstone, soapstone, marble, slate, sigh… the options are endless. The beauty of stone can never be captured in man-made materials. There are so many porcelain tiles out there that try to mimic stone, but the layers, depth, translucent characteristics in stone can never be captured. I literally feel my heart beat faster and the thrill down my spine when I look at beautiful stone – they take my breath away. I saw a gorgeous Travertine in black with white filling — so gorgeous.. I had no idea black Travertine existed. Marble in all its variations — there are so many different types of marble — Botticcini, Etrusca, Carrara, Calacatta, Vermont Verde, Nero Marquino, etc. I LOVE LOVE Calacatta as do many others – there is something about the white marble with majestic veins… the veins have gorgeous sparkle. To be continued… AM needs to disconnect Internet for moving. Sigh! I have been searching long and hard for the perfect granite and marble for my apartment. I found a way to get stuff really cheap and balance out expensive stuff. Marble is popular as a countertop in the bathroom, and is much desired in kitchens. But it is high maintenance and reacts strongly to acid and other food stuff. So its not a practical material for kitchens. Granite is commonly used in kitchens (along with laminate depending on budget). Granite is made from rock with a lot of texture. I have not come across a single granite that has less texture or is easy on the eyes. It is a sturdy substance, can withstand heat and pressure very well, and does not stain if sealed properly. Quartzite is in between granite and marble – it is for people who do not like the texture of granite but don’t want high maintenance marble. Marble is made of rock as well but from the metamorphosis of limestone. Limestone is another popular material for bathrooms (jerusalem gold, travertine), and it looks gorgeous in kitchens like marble but is very high maintenance. Every stone is different, every slab of granite, marble, and limestone is different. That is the beauty and challenge with nature’s materials. The same goes for slate – no two slate tiles are the same color. So I am making several trips to many places to find the perfect one! Here is how it works. Fabricators cut, prepare, and install the stone in homes. They buy the stone that a customer likes as slabs from wholesalers, and sell it to the customer as a cost per square foot. 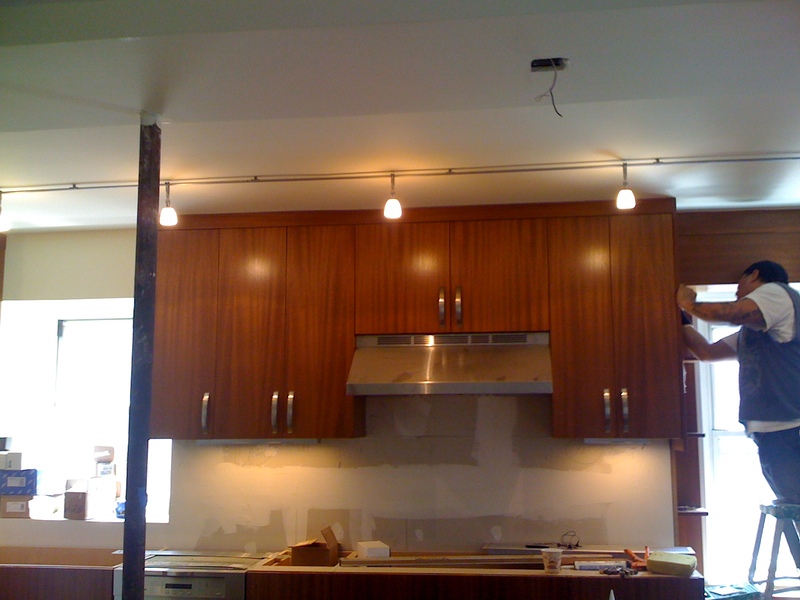 Some fabricators are retailers as well – they buy from wholesalers in bulk, fabricate, and install. Non-retailer fabricators always have some common pieces lying around and are willing to sell it cheap or give it away for free if they are paid for installation. I am getting marble for the bathrooms from fabricators – the prices are way way lower than what I would get from a wholesaler. The fabricator will not even charge me for the actual stone if I get them to install for the kitchen and pay them to install in bathrooms. Marble is more uniform in texture than granite so its easy to find pieces that work. Granite is the challenge. The granite I love is labradorite, which is a stone from which jewels are made. The slab has gorgeous blue and purple shimmer which is extracted to make jewels. Its expensive and uncommon, so I am working hard to find the perfect stone, and cutting down the budget in other places to accommodate this one. Its worth it. 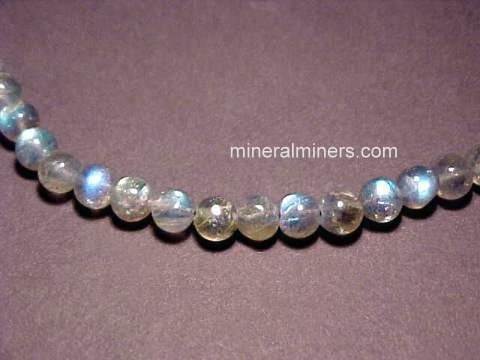 Below is an extracted labradorite. Labradorite is supposed to have a calming influence and is very pleasing to the eyes. 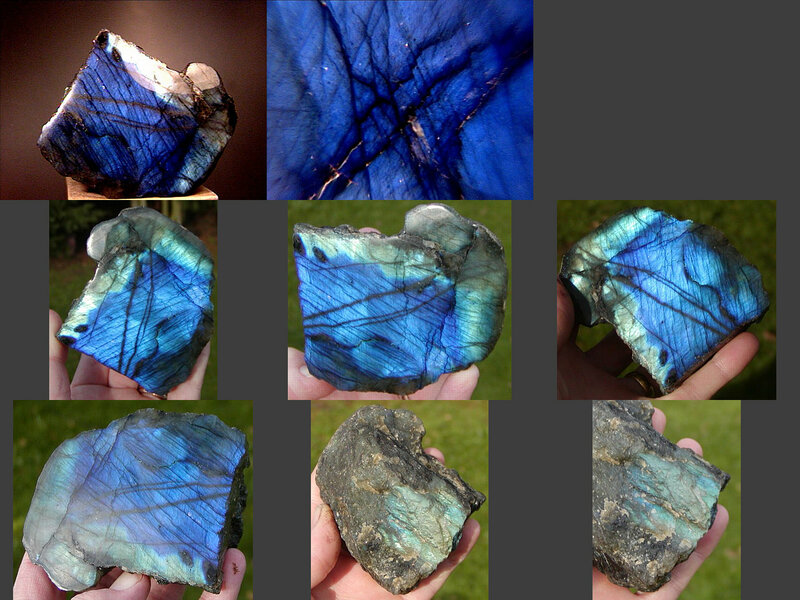 In the past people thought that labradorite had extra-terrestrial tendencies due to its color. It is the ONLY granite I really liked after visiting several places. When I started the process, I did not like granite due to the heavy texture. But after looking at several kitchens, I have fallen in love with the stone. Texture is what makes it special. Every piece is a discovery – you never know what to expect. Labradorite is a discovery – each time you change direction you discover something new beneath the stone. Something that is black may seem blue from another angle. For me this entire process of discovering stones has been of immense pleasure. You see rocks from a different perspective, and realize the beauty that lays in these materials from years of struggle and strength. I am excited to see how everything comes together and cannot wait!